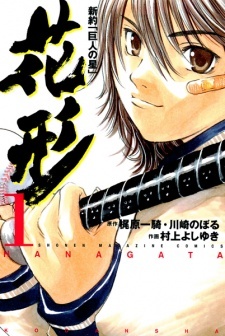 The titular Hanagata is a Junior High student who used to be an ace Little League Pitcher until he busted his shoulder. Now, in Junior High, he has decided to focus on his batting. But, the School has been banned from official games, and the baseball club has reluctant members.